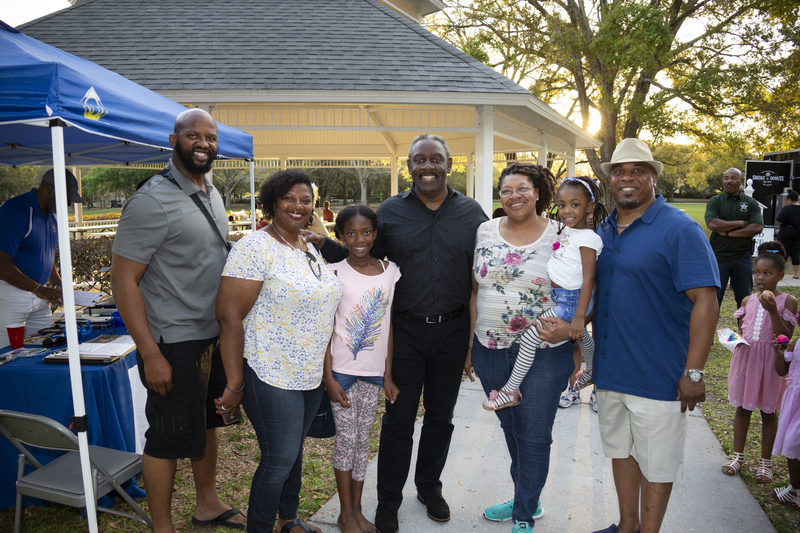 More than 1,000 guests attended Orange County Mayor Jerry L. Demings’ Jazz in the Park on March 2 at historic Cypress Grove Park in Orlando. Mayor Demings was joined by Congresswoman Val Demings and Orange County District 3 Commissioner Mayra Uribe. With promotional support from WUCF 89.9 FM, the free event featured live music and food trucks. Attendees sat on lawn chairs and blankets for a picnic while they enjoyed the sounds of local jazz bands. Long-time local jazz radio announcer Yvonne Coleman introduced performances by Matt “The Sax Man,” Jazzway Express, The Dave Capp Project featuring France Neil, Dave Worker and the Union and Safia Valines. Cypress Grove Park, located alongside Lake Jessamine, has 90 acres of oak and cypress trees and open space. The property is also home to a replica of the 1925 estate house, which is a destination for weddings, soirees, corporate events and holiday celebrations.